I have been using a department store 3 step skin regimen faithfully since I was in my late teens at college. It's been expensive and well now that I'm in my forties my skin has changed. 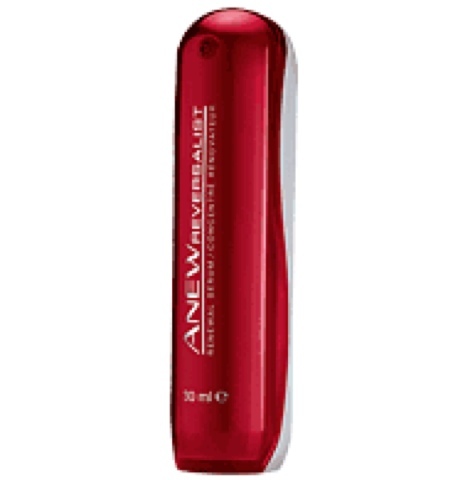 I'm takng the plunge into the AVON's ANEW Reversalist product line! The above picture is actually the starter system. I started my Avon Anew Reversalist regimen with the basics: Renewal Foaming Cleanser, Renewal Serum, Illuminating Eye System, Day Renewal Cream SPF 25 in the morning and Night Renewal Cream at nightday. I started on Monday, December 17, 2012. I decided to go all out and add to it the Clinical Advanced Retexturizing Peel every other night and the Clinical Eye Lift Pro at night on day 2. I have had problems since my last pregnancy in 2010 with a skin condition called rosacea. It kind of looks like acne but isn't. I've been on metro-gel and an anti-biotic since 2011 with some improvement but it just wasn't clearing up. Within a day of using the Avon reversalist regimen the redness started to go away! I was really impressed so I tried the Clinical peel every other day at night right after the cleanser. Ok, I'm seriously impressed. My face redness from the rosacea has disappeared and the acne like blisters are clearing up! Not only that but my face is softer! My husband loves touching it so much he is actually driving me nuts! However, I do secretly love the extra attention. Oh and ladies....my monthly visitor came and went without so much as a single breakout! Yeah! 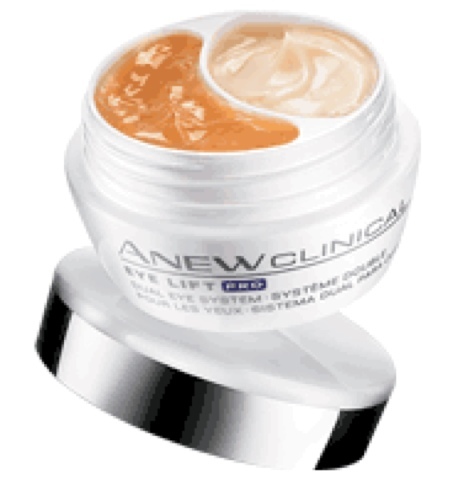 I actually started on day 2 using the Clinical Eye Lift in place of the Illuminating Eye System in the evenings. I chose this product because I've noticed some drooping of my upper lid/brow area. I am surprised how fast the products actually work. My right upper eye area is worse than my left but I can visibly tell the difference! Within a week my bags and dark circles were gone and my upper eye/brow area looks younger and lifted without the surgery. I'm sure with continued use on this problem area I will keep seeing improvement. 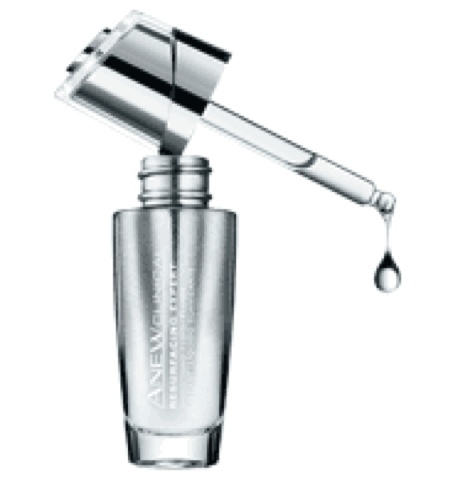 The Anew Clinical Resurfacing Expert Smoothing Fluid is on sale in the current campaign 2 brochure for $24.99. (reg. price $38) I'm purchasing this to use as my 2nd step. I will replace the Renewal Serum with this and see if it works even better on the rosacea issue. I will start using it on January 12th, 2013. The brochure states this product is "79% effective as a professional microdermabrasion--without the same irritation. *"
"*Based on a clinical study vs. three professional microdermabrasion treatments over 12 weeks." 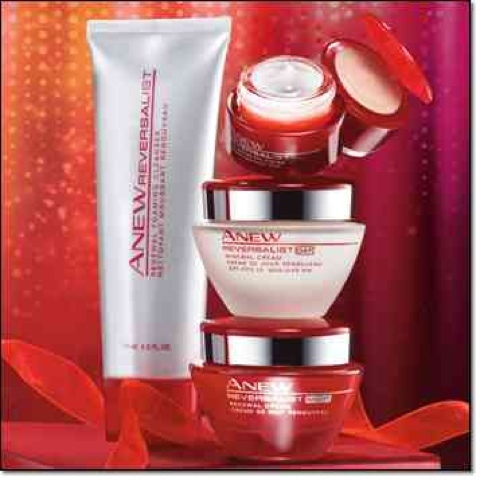 I am just amazed at all the different products that AVON offers within their ANEW Skincare line. I wish I had discovered them 25 years ago. AVON always has their products on sale every few weeks and they're evidently good products that work!